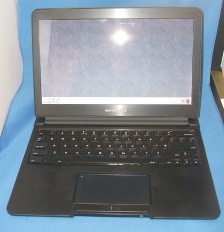 Designed as a Lapdock for a Motorola Atrix 2, Photon and Droid Bionic phone this can also be used via its HDMI & USB inputs as a display & keyboard for a computer large or small. Ideal for use with computers such as: Raspberry Pi, Beagleboard or PandaBoard. Price: £187.00 no VAT to pay!